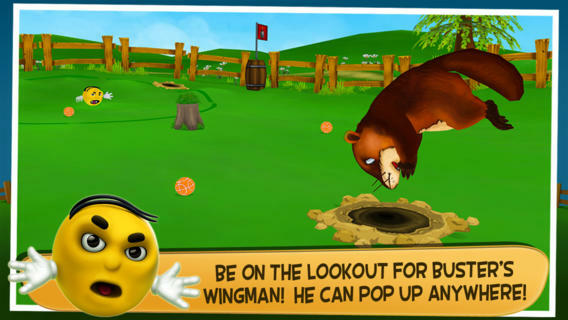 BusterBallis an iPhone game developed by Full Sea Productions. 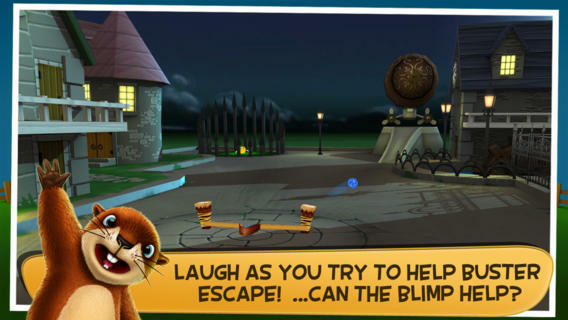 This fun game is hilarious, addictive, and just plain good. If you like games that have a bit of attitude and talk back to you, this should be right up your alley. In BusterBall, your goal is to shoot your balls as close to “Buster” as you can, but without actually touching him. If your balls touch Buster, he’ll be blown sky high! 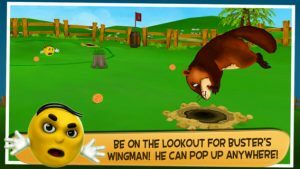 Shoot by pulling back on a slingshot, and then adjust your trajectory by swiping over the screen. Bonus points are given for bouncing off objects. In addition, players will want to land in the “scoring zone” in order to keep these bonus points. There are different colors of balls you can play with. Some of the balls will add special costumes to Buster the ball and Pipes the rodent. (Now that I’m thinking about it, I have no idea what animal Pipes actually is.) You can give them baseball, biker, or hippie costumes…if you have the coins. 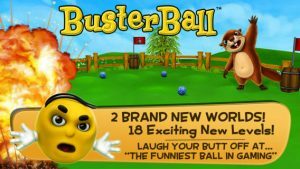 BusterBall boasts both a single player mode and a multiplayer mode. Take too long deciding which one you want, however, and you’ll be inundated with a long list of insults! I was actually pretty impressed by the insults in the game. Also impressive: the physics. I shot a ball at a fence, expecting the ball to bounce off. But as it would have in real life, the ball went through the large gaps in the fence. The current version of BusterBall is Version 1.2.0. Updates to this version of the game include two new game worlds, 18 new levels, and reduced prices on coin packs. There have also been minor fixes and some graphics updates. 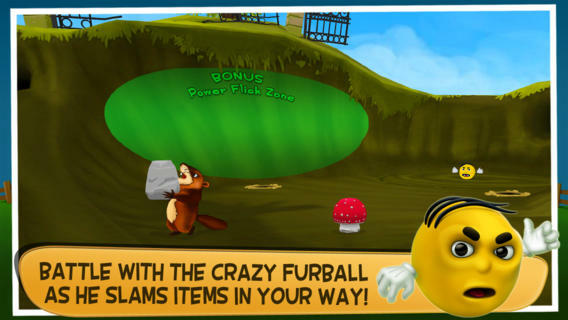 With great physics, solid graphics, and entertaining dialogue, BusterBall is pretty darn entertaining. 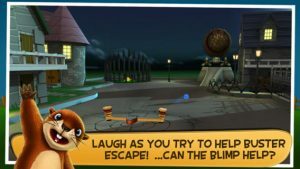 It’s a relative newcomer to the App Store, but it’s already got the feel of an instant classic. BusterBallis compatible with iPhone 3GS, iPhone 4, iPhone 4S, iPhone 5, iPod touch (3rd generation), iPod touch (4th generation), iPod touch (5th generation) and iPad. Requires iOS 6.0 or later. This app is optimized for iPhone 5.